Sam Lloyd has worked in the jewellery and gemstone trade for 12 years, starting as a teenager in a family-run jewellery business before moving to London's iconic Hatton Garden. After showing exceptional aptitude in the Gem-A Gemmology and Diamond Practical examinations, Sam progressed to become a qualified European Gemmologist, earning the post-nominals, EG, upon completion of the notoriously challenging FEEG examinations. 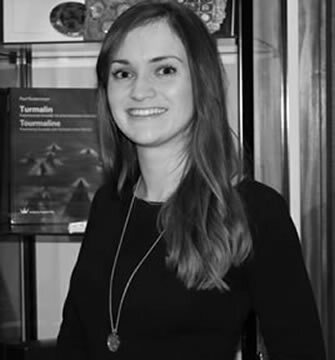 An experienced gemmology tutor, Sam has been leading Gem-A's foundation students for over 4 years and in 2016 joined Gem-A to head up its limited company, Gem-A Instruments. In this role, she develops and sources innovative tools that sell to both beginners and professional gemmologists across the globe.